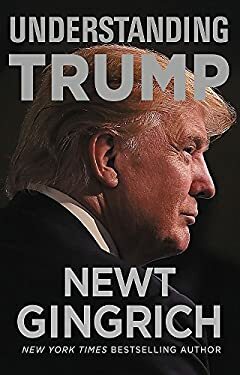 With this book, Newt Gingrich provides insight and inspiration for Americans as they embrace their new president in office. Donald Trump is a remarkable phenomenon. He is the only person ever elected president without holding office or serving as a general. Trump and ""Trumpism "" represent a profound change in the trajectory of American government, politics and culture. Understanding Trump requires a willingness to study and learn from him. His principles grow out of five decades of business and celebrity success. Trump behaves differently than traditional politicians because his entire life experience has been different than most traditional politicians. This book will explain the Trump phenomenon and help people understand the emerging movement and administration. Newt Gingrich says President Trump should begin every day by reviewing his campaign promises. Trump owes his presidency to the people who believed in him, not to the courtiers and schmoozers who had contempt for him as candidate but adore him now that he is president. ""Reasonableness"" would be the death of Trumpism. The very essence of the Trump candidacy is a willingness to set new policies and goals -- ""unreasonable"" to Washington but sensible to millions of Americans. New (162 available) BRAND NEW. Over 1.5 million happy customers. 100% money-back guarantee. Make your purchase count: support Better World Books' worldwide literacy partners.